Can you feel your stress rising high when you have an interview? Are you completely drained after being in the hot seat? ​Imagine how amazing it will feel when you learn how to confidently share your message of professional value and be more at ease under pressure. 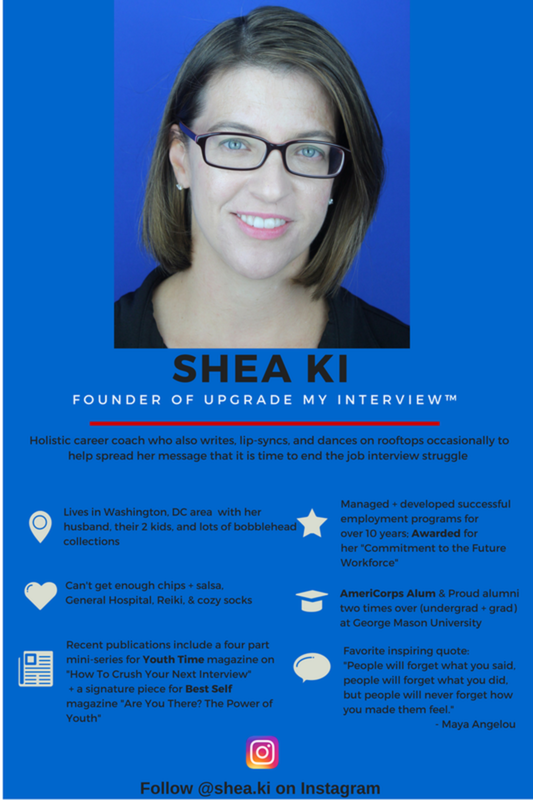 That's where the Upgrade My Interview™ method with me, Shea Ki, comes in. 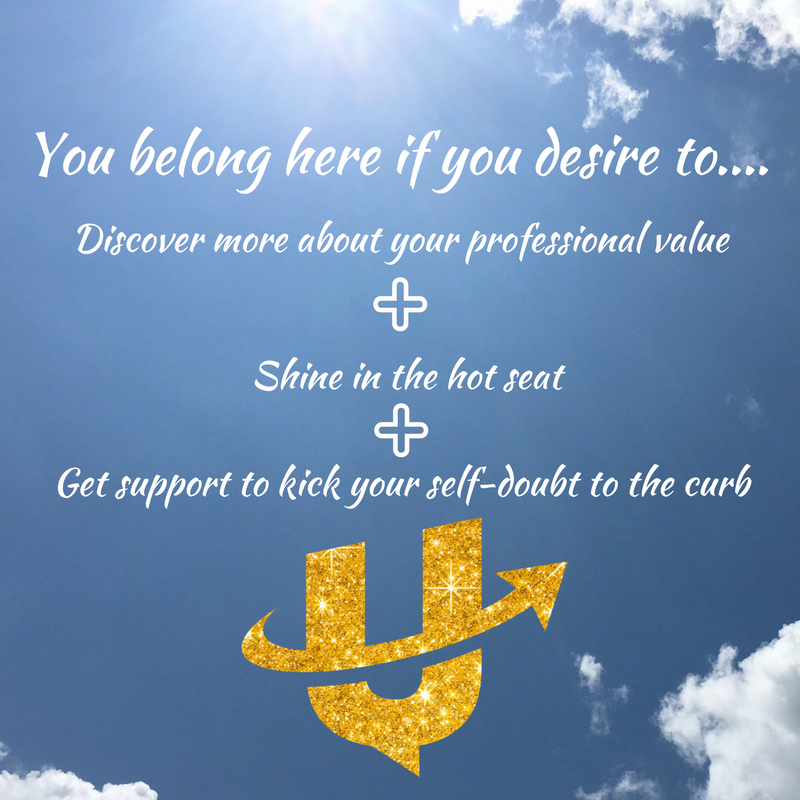 I am here to help you shine in the hot seat. 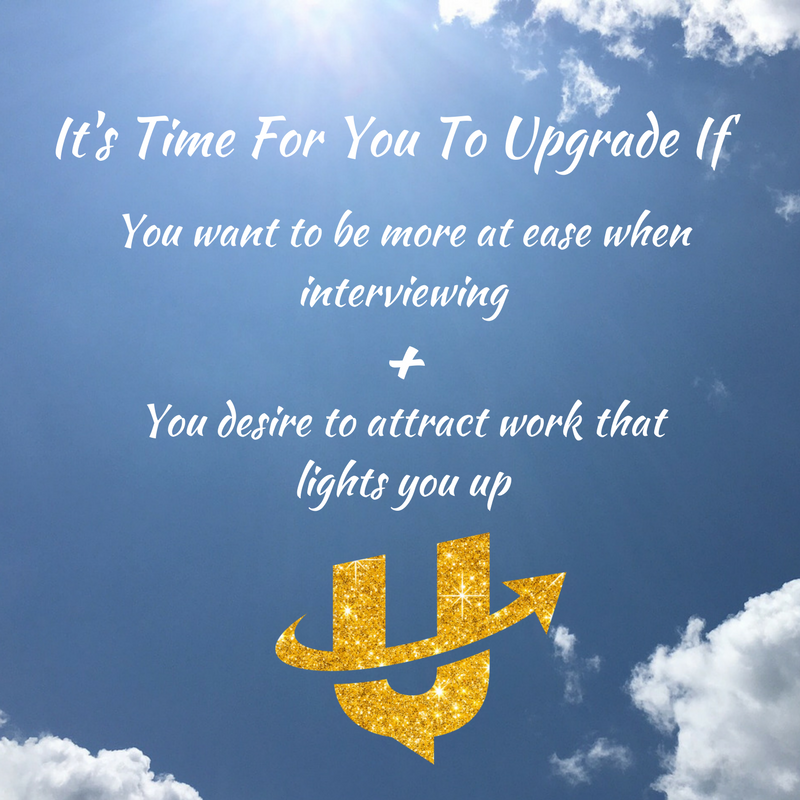 I created the Upgrade My Interview™ method for high performing, spiritually minded women who know they are here to do work that lights them up. ​As a hiring manager and developer of award-winning employment programs and job centers for over 10 years, I have seen too many talented, incredible people not prepared and confident at their job interview. On the flip side, I have also seen the huge smiles of pride, bigger paychecks, and other abundance that happens when those seeking new opportunity get the right coaching and support. I have been helping others discover more of their strengths, align with their highest energy, and prepare for their next best career step for over a decade. I will help you avoid many of the mistakes, missed opportunities, and motivation melt downs that happen when you are not fully prepared in the hot seat. You can read ﻿my full bio in more detail or follow me on Instagram or Twitter for more about my background, family, obsessions, and tips for stress relief. I also write a popular blog where I share a lot about my own triumphs and challenges that I have faced with interviewing, starting my own business, and attracting work that I enjoy. ﻿When our skills and talents that we enjoy using most are tapped into and appreciated, work feels good. My goal is to help you boost your mindset, body language and energy so your professional value is more seen, heard, and believed. I bring a nonjudgemental, encouraging, and energizing approach to the coaching session while also providing clear guidance and practical tips. For many, talking about their future and being evaluated can be nerve-wracking and anxiety producing. I don't sugar coat what I tell you, but I do I keep in mind that you are taking this brave step to get professional feedback and your courage will be honored. With every client, I customize my strategies and resources to your specific situation, individual preferences, and professional strengths. Being in the hot seat without the right preparation can makes us feel like our flaws are bigger than they are. What works for one person to stay in a positive, relaxed mindset may not work for another because we are all come from a unique background with different experiences. I stay current on top research about a variety of stress reduction methods. My goals is that we quickly find what works for you best and build on that so you can represent your best, most authentic self on the big day. I see the coaching relationship as a 50-50 partnership where we are both putting in the time, effort, and energy so you shine in the hot seat. Career and interview coaching with a professional will increase your success when both sides show up giving 100%. I bring years of experience in learning what hundreds of hiring professionals and employers are looking for while also teaching you effective ways to combat anxiety, self-doubt, and procrastination. The clients I work show up serious about their future, want to have fun while learning, and keep an open mind about trying new ways to attract work that lights them up. We often upgrade our phones, cars, wardrobes, and where we live. It's now time to invest in upgrading your interview skills and enjoy the doors that will open. I invite you to set up your free 30 minute meeting with me to see if my style of coaching is right for you. During your f﻿ree 30 minute strategy session, we'll assess your interview skills and discuss your career goals. We will then talk about each other's expectations and determine together how best to work together. My clients set up their coaching sessions online and pay for coaching packages using PayPal or credit card. I meet with clients on Skype, Zoom, Google Hangouts, FaceTime, or by regular phone.